Select the new cloumn and from Property Inspector (Appearance section) set Width to "14" and RowHeader to "true"
Now run the page again you will find new icon above first column when you press this icon it will clear all columns filters and re-execute the view object query. This is a power of RowHeader property. 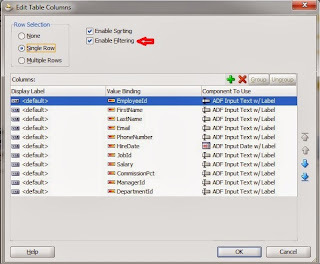 If any column with RowHeader property set to true this column automatically will move to the first and will be frozen and if the column filter is appear then the small icon will automatically appear to clear the filter data this is a built in feature in af:column component. 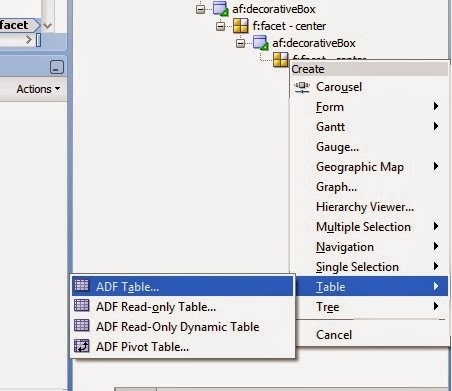 Haha .. typical ADF implementation. Hidden and secret features. This is not straightforward. what if I dont want that extra column in my table ? It just looks odd. 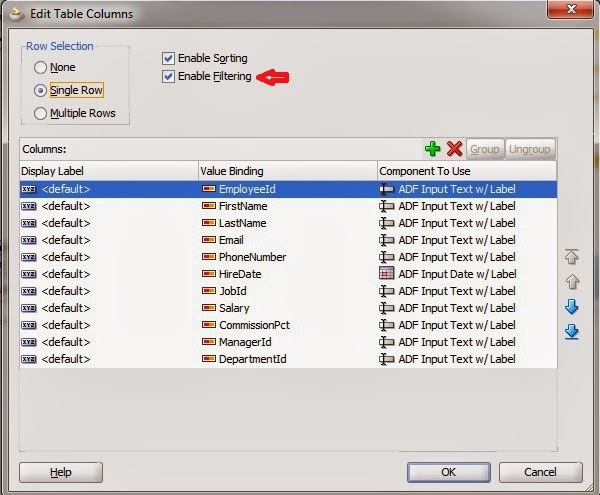 No need to add this column, you can set the first column RowHeader to "true"
Because in JDev 11.1.1.7 the ADF application use skin family not has this clear icon. If you want to enable this clear icon you should use a skin family extend "fusionFx-v1.1.desktop", I tried it and it is working fine.